AUTOCONTROL Legal Counsel offers its services of deontological consultations to solve doubts or other general questions on advertising. It is an advice service provided by AUTOCONTROL Legal Counsel in order to solve any doubt related to advertising regulation or self-regulation or their interpretation. It does not include the assessment of specific advertising campaigns provided through Copy Advice® service. > WHO CAN REQUEST IT? Advertisers, advertising or media agencies, media and sectoral associations. The service is usually provided verbally. > IN WHAT TIME PERIOD DO THE CONSULTATIONS TAKE PLACE? The average delivery period of a consultation is, in general, of 2 working days from the date of receipt of the request. Complete report on advertising content of a website. It consists of a detailed analysis of the deontological compliance of the advertising content in the submitted website. Advertisers with regard to their company’s websites. > WHAT IS THE TERM FOR DELIVERY OF THE REPORT? To be determined according to the extent of the website and its contents. The Data Advice® service has been created to respond to the needs arising from the General Data Protection Regulation (GDPR) ―which will be fully applicable on May 25th 2018―, particularly in the advertising sector. The Data Advice® services can be requested jointly or individually depending on the needs that arise when complying and adapting to the data protection regulation. > WHAT TOOLS DOES DATA ADVICE® INCLUDE? Adaptation of information and consent clauses – Analysis and adaptation of information and consent collection clauses, assessing in particular whether previously given consents are valid according to the GDPR and, if not, whether the data processing may be based on a different legal ground (e.g. legitimate interest). Impact assessment support – Advice on whether a data protection impact assessment is required and, if so, legal advice on the assessment procedure. Advice on the response to individual rights – Advice on managing and complying with requests from data subjects regarding their individual rights, including the review of the company’s internal procedures. Advice on other data protection issues (record of processing activities, contracts with data processors, notification of data breaches, etc. ), excluding conducting the impact assessment, performing the role of DPO and carrying out (non-legal) technical analysis. Mediation regarding claims on data protection rights. Training activities about privacy and data protection through courses, seminars and in house training sessions. > WHAT IS THE ADVERTISING JURY? It is an independent extrajudicial body responsible for resolving disputes and complaints in advertising. In 2018 the Jury of AUTOCONTROL, the Spanish Self-Regulation Organization, has obtained public recognition as an Alternative Dispute Resolution (ADR) body. This recognition has been obtained, once qualified the compliance with the principles of independence, impartiality, transparency, efficiency, speed and fairness, established in Law 7/2017, of November 2nd, related to the alternative resolution of consumer disputes (Spanish Law incorporating the European Directive 2013/11, of 21 May 2013 on alternative dispute resolution for consumer disputes). With this recognition, the Jury of AUTOCONTROL becomes the first private entity accredited in Spain by the Directorate-General for Consumer Affairs, of the Ministry of Health, Consumer Affairs and Social Affairs, and it becomes part of the unified list of ADR entities of the European Commission, and the online dispute resolution platform established by the European Union. It is composed of prestigious professionals with recognized qualifications in the areas of Law, commercial communication, economics, and consumer protection and conducts its activity guided by the principles of independence, impartiality, transparency, efficiency, speed and fairness. To ensure its impartiality, the Advertising Jury and its members are independent of the associative bodies and entities affiliated to AUTOCONTROL. The Spanish Agency of Food Security and Nutrition (AESAN), included in the Ministry of Health, Consumer and Social Welfare, appoints 25% of their members. Besides, for complaints placed by individuals, the Section of the Jury is composed by a member appointed by consumer associations. > HOW DOES IT RESOLVE THE COMPLAINTS? The Advertising Jury resolves the complaints applying the Code of Advertising Practice (and therefore legislation) and with the procedure established in its Regulations, all complaints and disputes that arise against specific advertisements broadcasted by any means in Spain. Individual consumers may place the complaint through this this online form, which may be proceeded through Section Seven of the Jury according the dispositions of the Jury’s Regulation. > WHO CAN FILE COMPLAINTS? Complaints may be filed by any person with a legitimate interest in claiming against a particular advertisement, regardless of whether or not they are part of the Association. The system is free for consumers, consumer associations and the Public Administration. Individual consumers may place the complaint through this online form, which may be proceeded through Section Seven of the Jury according the dispositions of the Jury’s Regulation. > ARE THE ADVERTISING JURY’S DECISIONS MADE PUBLIC? ARE THEY MANDATORY? All the Advertising Jury’s decisions are made public and are mandatory for members of AUTOCONTROL or submitted to the system (under the agreements of application of sectoral codes of conduct) and voluntary for the rest. Despite the voluntary nature of the system, which by its very nature can only bind statutory to members or affiliated entities, it is undeniable the moral force of AUTOCONTROL Advertising Jury’s decisions throughout the sector, including among companies not involved in the system. The technical authority and the impartiality demonstrated by the Advertising Jury in its decisions have generated a high credibility and trust, both between the advertising industry, and before the Administration and society in general. > WHAT IS THE COST OF PROCESSING A COMPLAINT? The advertising complaint system is free for consumers, consumer associations and the Administration. > WHAT IS THE MEDIATION SERVICE? Mediation is an agile and free service that AUTOCONTROL provides to those that have previously filed a complaint against any telecommunications company adhered to the Mediation Protocol (Orange Espagne, S.A.U. (Orange/Jazztel), Orange España Virtual, S.L. (Simyo), Telefónica de España, S.A.U. (Movistar), Telefónica Móviles España, S.A.U. (Movistar), Vodafone España, S.A.U. (Vodafone), Vodafone ONO, S.A.U. (Ono), Xfera Móviles, S.A.U. (Yoigo, Masmovil, Happy Móvil y Llamayá) y Pepemobile, S.L. (Pepephone) in cases related to personal data protection and their complaints have not been attended in the scheduled legal deadlines or considered it wongfuly attended. If you wish AUTOCONTROL to mediate between you and the claimed company to reach an agreement, click on the first option to Access our online form, simple and intuitive. Once it is completed, we will facilitated you a file number that you can use during the whole process. If you want more information about the companies adhered to the Protocol and the concrete matters that can be subject to mediation or to solve any doubts, please check out our frequently asked questions or contact us. AUTOCONTROL is one of the entities accredited by Red.es (agency designated by the Government for the Administration of domains “.es”) for the extrajudicial resolution of disputes over domain names “.es”. For this purpose, AUTOCONTROL counts with a list of accredited and prestigious experts in Spanish Law and in extrajudicial resolution of disputes, who are responsible for resolving specific “.es” domain name disputes between the holder thereof and a third party, in a reasoned manner and in accordance with the rules of procedure laid down by Red.es. Monitoring is the examination of advertising works, web pages or applications from a sector disseminated in a determined period of time, to verify a series of indicators related to the effective compliance of the legal or deontological regulations applicable to that advertisement. It is a useful tool to verify the degree of compliance with deontological commitments assumed by the industry. In the last few years, AUTOCONTROL has carried out several European and national monitoring exercises related to the advertising spread in digital means in sectors like toys, online games, alcohol or foods aimed at children. > WHAT IS THE CSR CERTIFICATE OF AUTOCONTROL? In order to contribute to establishing the commitment of companies in the field of Corporate Social Responsibility (CSR), AUTOCONTROL annually issues to its members a CSR certificate, which allows them to highlight in their annual CSR Report or Sustainability Report that their company assumes the deontological commitment to exercise responsibly the freedom of commercial communication, participating in the Spanish system of self-regulation advertising. > WHAT IS CONFIANZA ONLINE? It is an association established in 2003 by AUTOCONTROL and Adigital with the purpose of increasing users’ confidence on the Internet both when buying and when browsing. > WHAT IS THE CONFIANZA ONLINE TRUST MARK? It is the logo displayed by those companies that have decided to commit to encourage the good commercial practices in Internet. > WHO AND HOW CAN APPLY FOR CONFIANZA ONLINE TRUST MARK? The Trust Mark can be requested by all those individuals or public and private entities that have an institutional, corporate or commercial website. To achieve this, they will have to affiliate to and comply with the Code of Ethics. Affiliation is bound only to one corporate name. 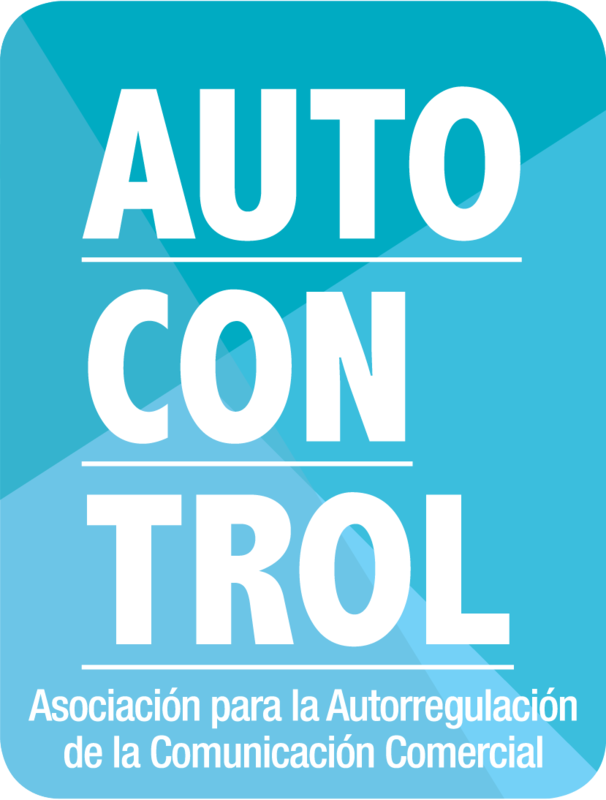 AUTOCONTROL has organised courses and seminars specialised in regulation and self-regulation of commercial communications in Spain for more than 20 years, becoming a reference entity in this area. At present, AUTOCONTROL offers a full range of information and training aimed at law and advertising professionals who need to update and deepen their knowledge in the field of advertising regulations, as well as recent graduates who wish to acquire knowledge to orient their career towards this area.